Mark is 13 years old, shy, but full of energy. He plays baseball for the area’s “top club” and his coach says he is one of the most natural athletes he has worked with. All Mark needs to do is play 9 to 10 months out of the year, work with a private hitting coach 2 to 3 times a week, be in the weight-room 4 to 5 times a week, and keep his grades up. Oh and don’t worry about the cost because Mark will get his college paid for, and will likely sign a Major League Baseball contract which will more than cover the cost. Dad is excited and proud of Mark, Mark is excited because everyone is proud of him. He is going to play college baseball! But as Jack Bowen discusses in his post about the college recruiting process, there is way more to the process than just talent. Playing high-level sports in college can be more like a job and requires hours and hours of time on and off the field. Has anyone even asked Mark what he wants from his college experience? How are his ambitions going to change in the 5 years before he goes off to school? What goes in to the decision making process? These are just some of the questions we all need to ask as we prepare young STUDENT-athletes for their next steps in life. 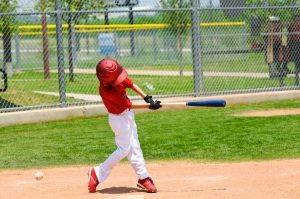 Do you have a kid thinking about playing college sports? Do you know what he or she really wants out of her experience? Leave a comment below and don’t forget to forward this to someone who may find this interesting and sign-up to receive post updates.